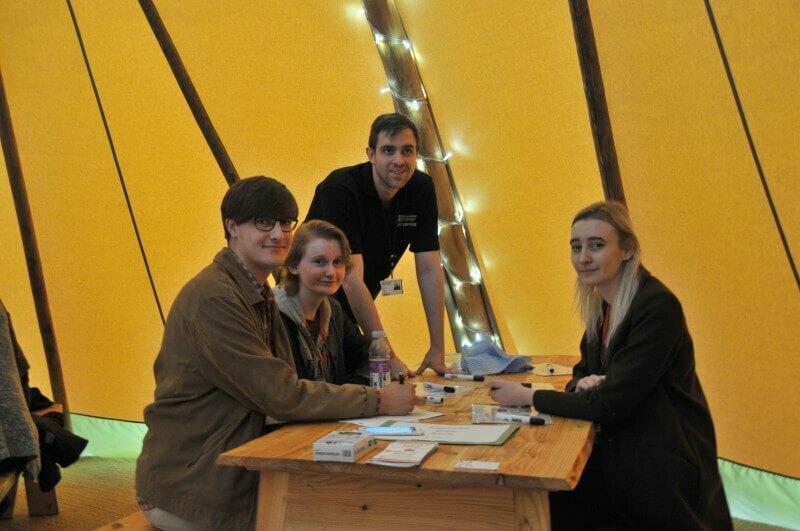 Barnsley College students had the opportunity to take part in a range of enterprise activities in a giant tepee as part of Global Entrepreneurship Week (GEW), a campaign to promote enterprise and entrepreneurship. Students took part in practical enterprise activities including designing a marketing logo, a finance and budget planning exercise, a procurement challenge and creating a timeline of successful global entrepreneurs including Mark Zuckerberg and Bill Gates. Students were also given a theoretical activity where they were asked how they would regenerate Barnsley town centre if they were given £3m as part of the Better Barnsley Project. The aim of the event was to inspire students to develop a range of skills and encourage innovative thinking in relation to becoming self-employed. As part of the week-long schedule of events, Ben Mansford, Chief Executive of Barnsley Football Club who has recently been appointed to the college’s Board of Governors, and Andrew Denniff, Chief Executive at Barnsley and Rotherham Chamber of Commerce, provided an inspirational talk to over 100 students. The theme of the talk was ‘Make it Happen’ and Ben and Andrew spoke about their career journeys, highlighting that roles evolve over time and that with hard work and dedication everyone is able to achieve great things. Other activities that took place throughout the week included a motivational talk by successful entrepreneur Julian Hall and ‘My Markets’ where students had the opportunity to run their own market stalls and sell hand-made products to help raise money for charity. 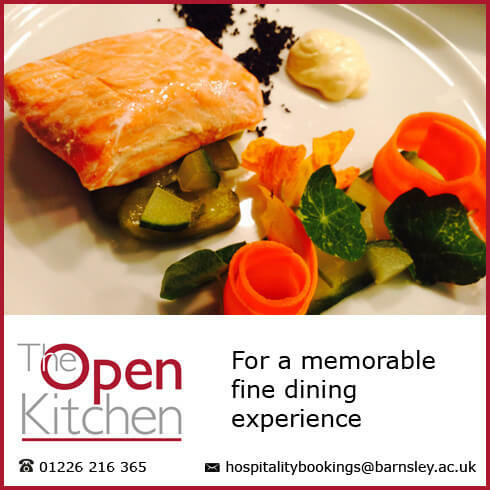 For more information about the Enterprise Department at Barnsley College call 01226 216 840.